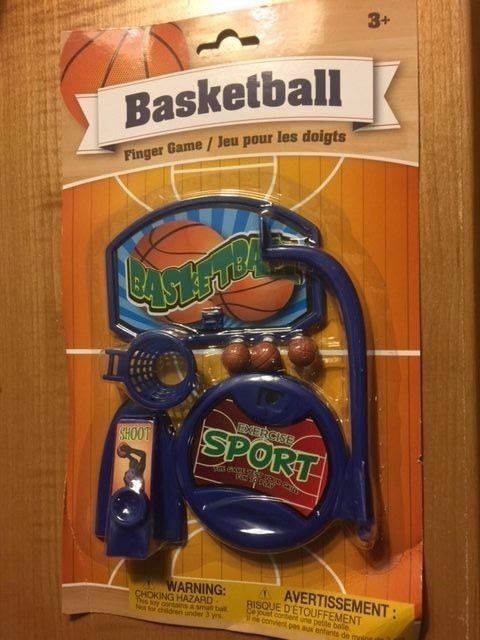 Home » Long Super Store » Basketball Table Top Finger Game - Great for Children Over 3 - Table Top Fun! 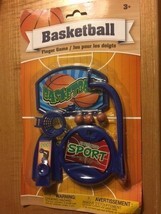 Basketball Table Top Finger Game - Great for Children Over 3 - Table Top Fun! 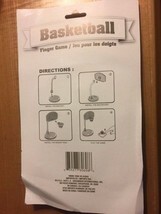 BASKETBALL FINGER GAME! Set this up on a table top and let the fun begin! Great fun! Simple assembly instructions included. Over 7" tall once assembled! BONUS - receive combined shipping discounted rates when you purchase multiple items (same or different products) from us at the same time! The discount will be a refund to you when your order is processed! Not recommended for children under the age of three. Please provide adult supervision whenever minors are present or in use of this product. Not responsible for use or misuse of this or any other product. Photographs and/or video are for demonstration purposes only. Colors of actual product may vary due to the differences in screened devices output. If our Terms Of Service (TOS) isn't visible from this listing, please review it on our About "me" page before ordering. 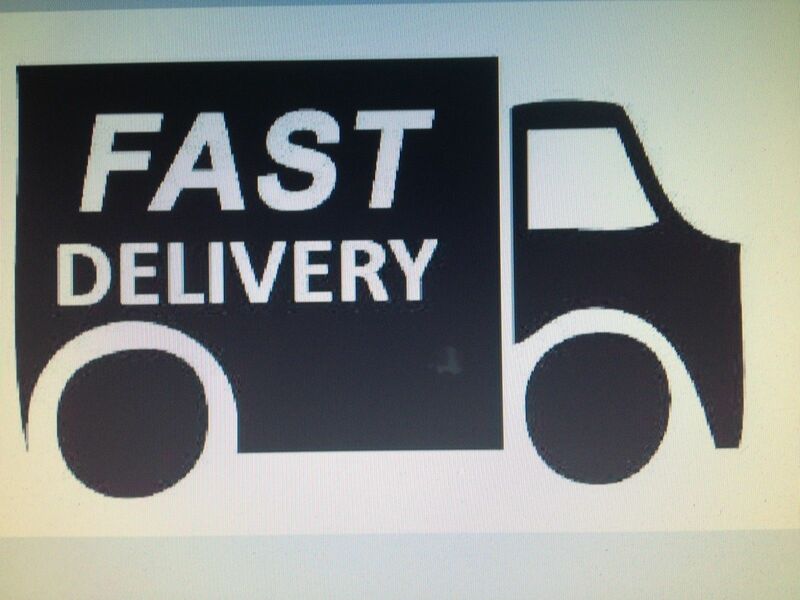 We believe in fast shipping, handling and processing of our orders. Consequently, we are not responsible for merchandise shipped to an incorrect address. We will only ship to the address listed with PayPal and will not ship to alternate addresses. All of our items are shipped the same or next business day. * *Exceptions may occur due to circumstances beyond our control (e.g. holidays, after hour purchases, postal delivery strikes, etc.). Business days are Monday - Friday. We can only accept payments through PayPal. Not a member of PayPal? No problem. Just click on "continue" on the PayPal page instead of signing in. At that time just enter your credit card information. This is encrypted, therefore we cannot view any of your credit card information, nor does PayPal retain it. Payments are expected within seven (7) days from the end of the auction. Unpaid item (UPI) complaints may be filed with upon not receiving payment within that time frame. International Buyers: We ship worldwide, therefore, it may take longer for shipments to arrive depending on where you are located outside of the United States. We primarily ship by USPS unless otherwise indicated in the item listing. Import duties, taxes and customs fees are not included in the item or shipping price. These charges are the buyers responsibility and are usually collected by the delivering shipping company, or when you pick up the item. Please do not confuse these charges for additional shipping charges from Long's Superstore. Prior to ordering or bidding, please contact your country's customs office to determine what these additional charges will be, if any. Also, unless it is a gift, we do not mark merchandise as a gift, or below value. Long's Superstore offers many different items for purchase. Many of our items (except for magic trick items*) are refundable as follows: If you receive an item (or items) and you are dissatisfied for any reason, please contact us within 30 days via email requesting a refund. We will issue you a Return Merchandise Authorization number (RMA) via return email. Package your return(s) including the RMA number and ship the product back to us postmarked within 5 business days after receiving the RMA number. The product must be in a resaleable condition and in the original packaging. After we receive the item we will promptly refund your purchase price. The buyer must pay for return shipping. If any item is defective, we will replace the merchandise for the same item, or offer a refund, after the merchandise has been returned. In an effort to control inventory properly, returns without a RMA number will not be accepted. If the item is no longer available, we will issue a merchandise credit or refund at your request. *Magic Trick items are generally non-refundable. As a rule with any magic trick, the purchase price is for: the performance rights; the instructions which include the "secret" of the effect; and possibly any props necessary to perform the effect if not easily obtainable. However, if the product is defective, we will exchange it for the same item. Simply follow the return policy listed above. In addition, most media (since it can be duplicated) is non-refundable. The particulars will be listed on each individual listing if the item is refundable or not. We take feedback very seriously. If you like our service, please tell a friend about us. However, If you are dissatisfied for any reason, please tell us and give us an opportunity to correct the problem before you choose to leave negative, neutral, or soft positive feedback. After you receive your item and everything is satisfactory, please leave us positive feedback and a 5-star detailed seller rating (DSRs), if we earned it. At that time, we will leave you positive feedback, regardless of what type of feedback we received. We want to earn your trust and repeat business. Finally, in an effort to protect the seller and buyer, we utilize disclaimers throughout many of our product descriptions. Here is another one... images, video and text are reproduced with permission from the copyright owners. Many images, video and text are in public domain and have been used freely without copyright infringement. In addition, some images, video and text are by Long's Superstore and may not be used without permission.